The Palace of Versailles was the residence of three kings of France: Louis XIV, XV, and XVI, from 1682 to 1789. Your guide will accompany you throughout the day as you discover the majesty of the Palace of Versailles and its most beautiful rooms. A symbol of royal power, admire the decoration, the palace’s Baroque architecture, its works of art, and antique furniture. After your tour, spend time exploring the beautiful formal gardens at your own pace before enjoying lunch in a restaurant near the Grand Canal. 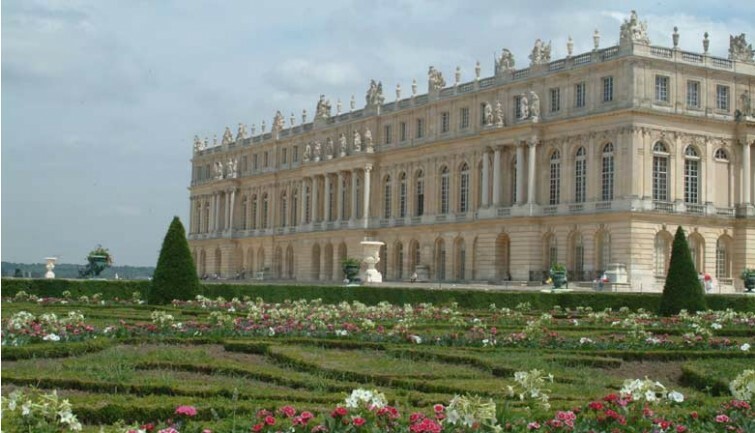 In the afternoon, discover another part of Versailles on a tour of the Small and Large Trianons and the Queen’s Hamlet, created especially for Marie Antoinette and located in a distant and peaceful corner of the grounds. 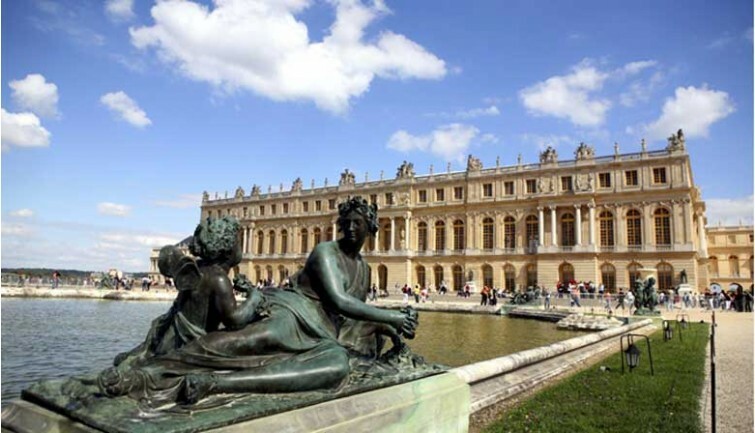 Set off from your Paris accommodation at 8 am for the Palace of Versailles. 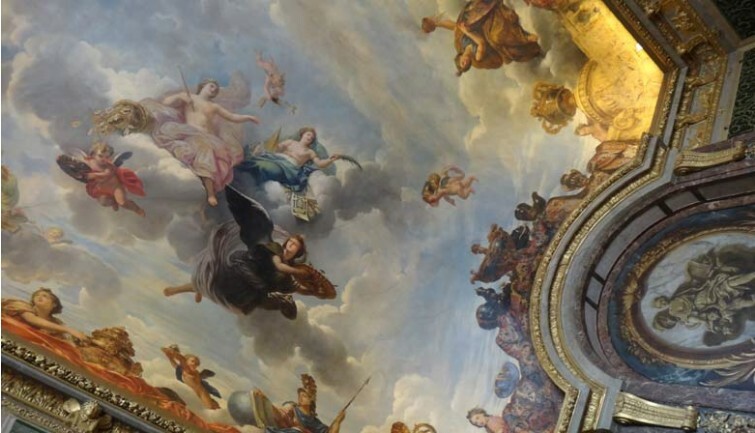 Relax during the minibus journey and listen to the first part of your guide’s commentary about the history of the Palace of Versailles,which consists of more than 700 rooms! 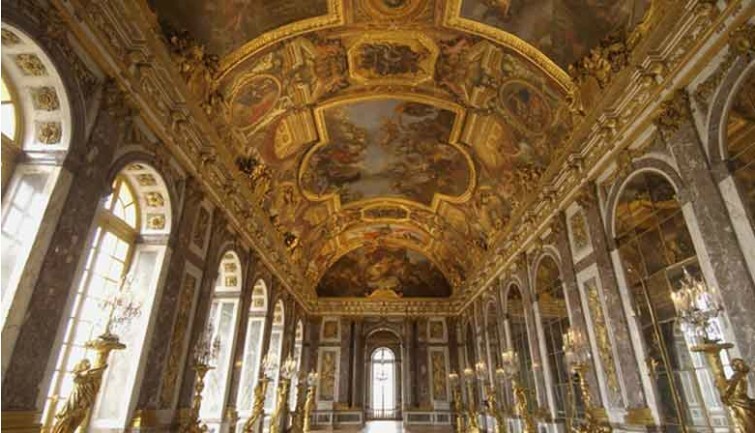 Follow your guide and head straight of the front of the line to see the Palace of Versailles’s most beautiful rooms: the King’s Apartments, with seven sophisticated salons, and the Queen’s Apartments. You will also visit the magnificent Hall of Mirrors, a place to see and be seen, designed to amaze visitors to the Sun King with its marble decoration and gilded bronzes. After an hour and a quarter of visiting time, explore Versailles’s stunning gardens at your own pace and admire its artworks, fountains, pools, flowerbeds, and trees. After your walk, enjoy lunch at the “La Petite Venise” restaurant in a peaceful spot right in the heart of the palace’s grounds, near the Grand Canal. After lunch, your guide will take you on a 1 hour 30 minute tour of the royal family’s secondary residences. 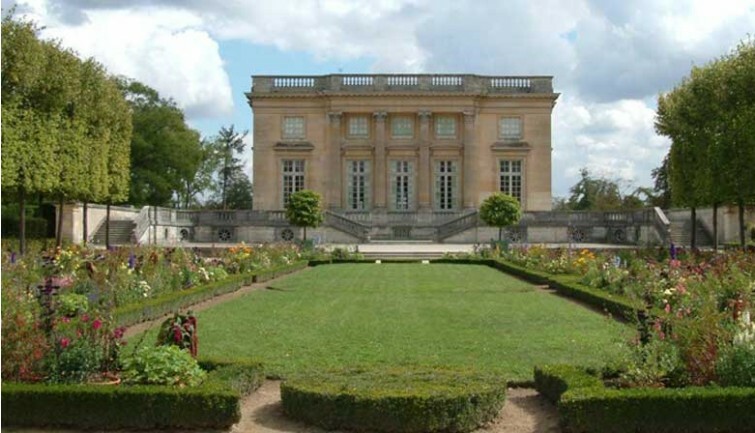 Visit Louis XIV’s palace, the Grand Trianon. This pink marble palace is surrounded by picturesque gardens and pools, making it one of the most elegant of all the buildings at Versailles. See the small apartment where Emperor Napoleon Bonaparte spent time after his divorce from Joséphine de Beauharnais. He restored the building and stayed there on several occasions with his wife, the Empress Marie-Louise. 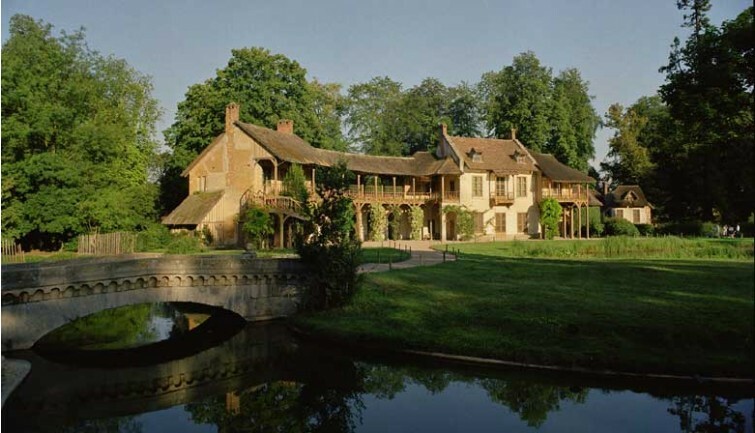 Enjoy a self-guided visit to the Small Trianon, Marie Antoinette’s boudoir, and the Queen’s Hamlet. Like a small Normandy village, the Hamlet is home to 12 cottages, a lake, rivers, and a farm. It was Queen Marie Antoinette’s favourite place; she would come here with her children and friends to experience the charm of country life and to amuse herself. Return to Paris. Arrival scheduled for around 4 pm.